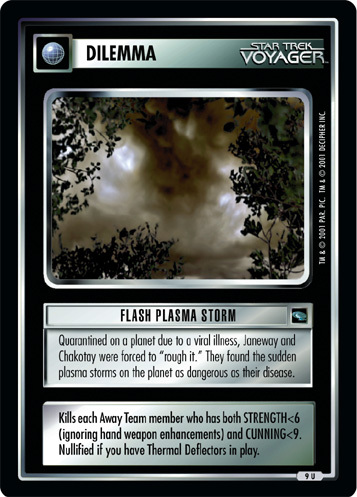 Species 8472 uses quantum singularities to cross from their realm of fluidic space into our galaxy. 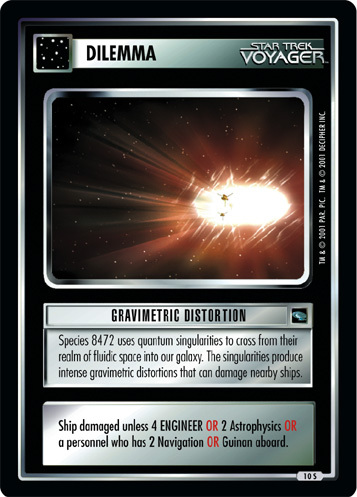 The singularities produce intense gravimetric distortions that can damage nearby ships. 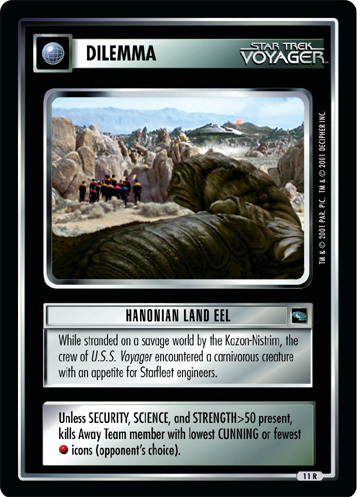 Ship damaged unless 4 ENGINEER OR 2 Astrophysics OR a personnel who has 2 Navigation OR Guinan aboard.